Desert hibiscus is described as a "shrubby perennial," meaning it is herbaceous above but woody at the base. 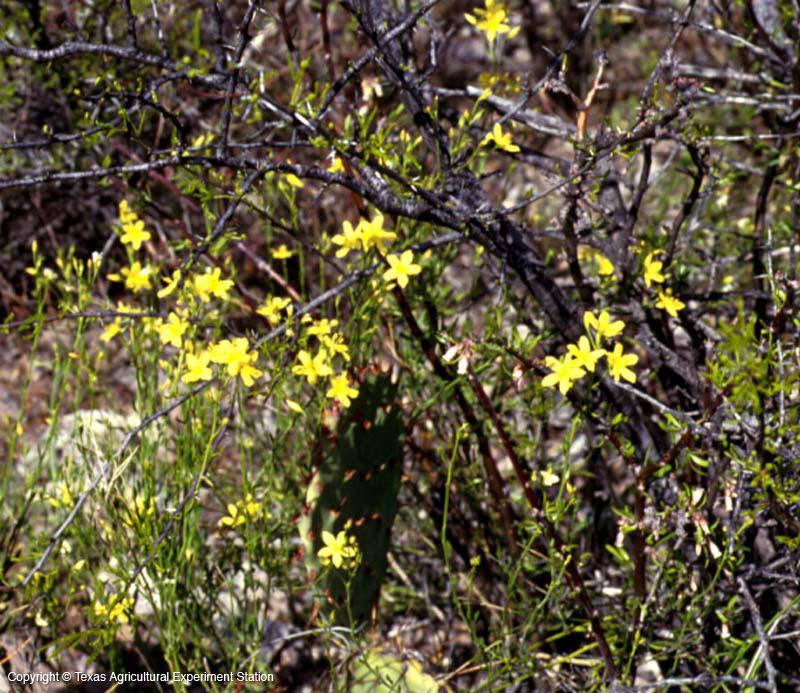 It is native to desert hills and rocky slopes from 1500 to 4500 feet, from the Trans-Pecos to Arizona and Mexico, where it blooms from April through September, usually in response to moisture. 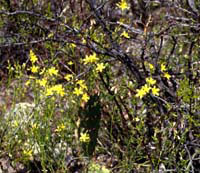 The two-inch flowers can vary from yellow to white, with a purple spot on each of the 5 petals, and open in succession from the bottom of the stem up. The leaves are about an inch long by 3/4 inch wide. Those on the lower part of the plant are round or oval, while the upper ones have 3 deep, narrow, toothed lobes. Sun-loving and drought tolerant, desert hibiscus may be damaged at temperatures below 15 or 20 degrees F., so in all but the southern part of Texas it may be most useful in a pot taken in during cold periods. Cutting the stems back in winter and once or twice during the growing season will encourage bushier growth.